Makeup Blending Sponges - What is it and how to use it? Liquid Makeups, Cream Makeups, Mineral-Based and Wet-Dry Powders PLUS Cream Blushes! 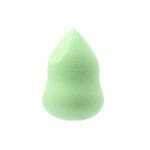 Nanshy Makeup Blending Sponges’ pointed egg shape makes application fool-proof: one end smoothly allows application to hard-to-do areas like under eyes, near ears and around your mouth with stunning ease. The other side is ideal for large areas like chin, cheeks and forehead. Its texture is sensual to the touch, and fits the contours of your face, leaving your make-up dazzling and undetectable. Nanshy Makeup Blending Sponges latex free, non-allergenic and odor free. Use Nanshy Sponges for an easy, always perfect blending of your makeup. Nanshy Makeup Blending Sponges have been fashioned to leave you with a professional finish and a flawless complexion. The key to a perfect face is simple: a perfect blend. Stop using your fingers. Or making due with old-fashioned wedge shape sponges! You’re wasting your make-up and struggling to alleviate visible streaks when you do without the Nanshy Makeup Blending Sponge. How to use Makeup Blending Sponges? Bop Nanshy Sponge around your face when applying makeup. Bobbing (known as ‘stippling’ in the makeup world) blends makeup without creating changes in the texture or tone of your skin. Easy Clean-up: Rinse Sponge under flowing water while using a squeezing motion, lather with beauty soap (baby shampoo works great too! ), rinse clean, then towel dry, using the same squeezing motion. You’re all done! Set out to air-dry. Do you use Makeup Blending Sponges yourself? What products do you use with it? Share your comments below.